Please fill out the below form to request a reservation. Thank you! Do you have any questions of special requests? A casual, friendly oasis, Hotel Bula Bula will surely satisfy with their attention to detail and service. Set across from water taxis to Tamarindo and steps from a surfer’s dream, on the nearly private Playa Grande, Bula Bula is conveniently located. It’s a great spot for the romantic, the surfer and the active traveler that wants a quiet place to rest at the end of the day. Moreover, rooms are furnished with orthopedic beds and modern amenities that will not leave you lacking for comfort. 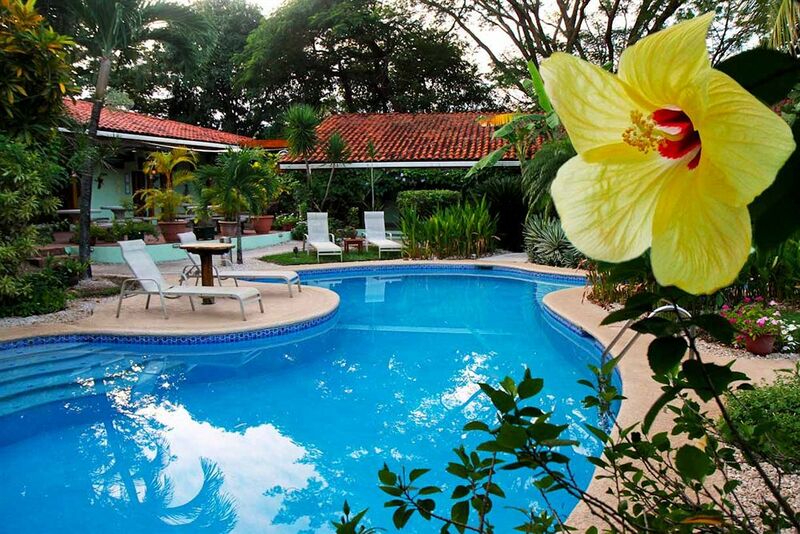 Wake up to the sound of Howler monkeys in the trees and iguanas sunning themselves on the patio; Then head over to the restaurant for a complimentary breakfast to start your day. 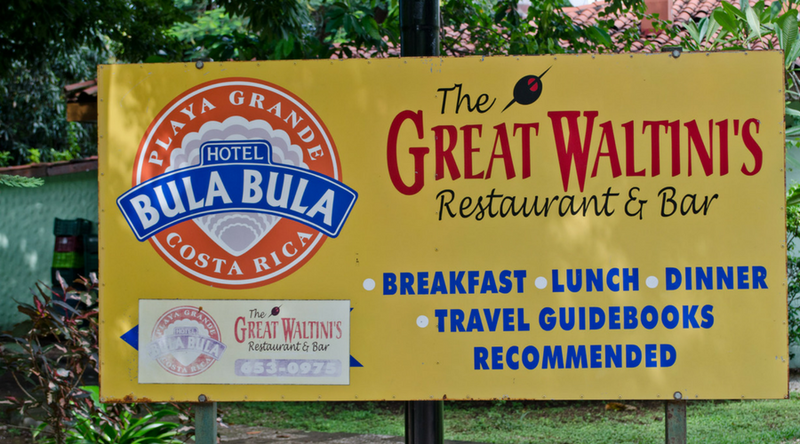 Both casual and elegant, The Great Waltini serves food all day with a menu ranging from American dishes such as steaks and salads to local cuisine like gallo pinto and ceviche. Don’t forget to enjoy your surroundings on the property. The ever charming and unique, Hotel Bula Bula is tucked away in a slice of tropical paradise with well kept grounds, an impeccably manicured jungle and a perfect dipping pool for that mid-day heat. As several cultures from around the world use the term “Bula Bula,” or “happy happy,” to refer to the simultaneous harmony of the body and soul, this hotel lives up to its name. In addition to organizing transportation, Bula Bula’s friendly staff is happy to arrange tours and activities. From hiking a volcano to paddling out to one of Playa Grande’s famed beach breaks, zip lining through the rain forest canopy to sunset sailing, Hotel Bula Bula will make sure you have the perfect vacation. 50% due at time of booking (minimum of 1 night). If canceled or modified up to 30 days before date of arrival, only 10% fee will be charged. If canceled later or in case of no-show, the total price of the reservation will be charged. Cancellations will only be accepted via email. No credit will be issued for early departures or late arrivals. Balance due on date of scheduled check-in. Deposits and refunds are issued in Costa Rican Colones. Additional terms and conditions apply at check-in. *When traveling internationally, you may wish to consider travel insurance.